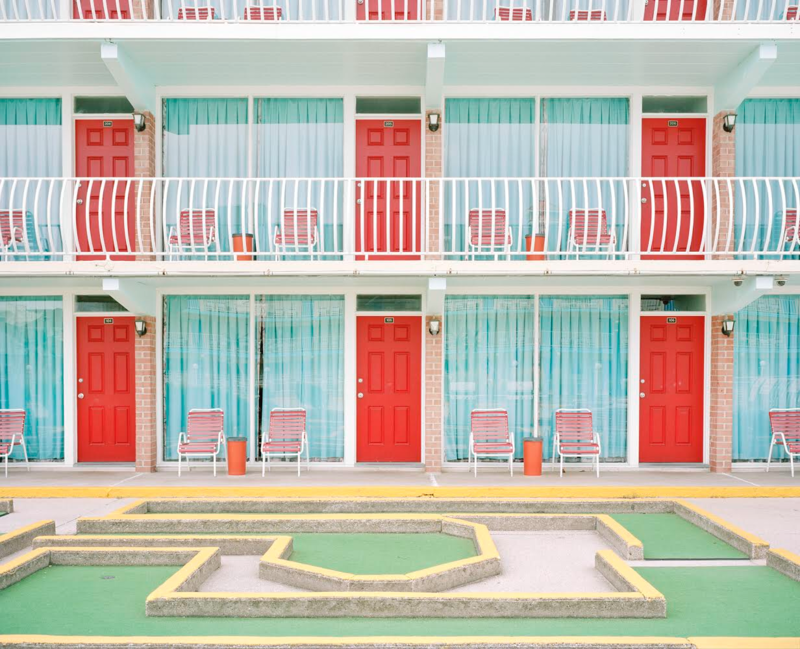 The photos in Tyler Haughey’s series Ebb Tide capture the classic motels of the New Jersey shore in their 1950s candy-colored glory. His crisp formalism melds perfectly with the “modern” style of the structures and captures their spare winter dormancy. The series also includes close ups of old postcards depicting tourists enjoying the pleasures of the shore. 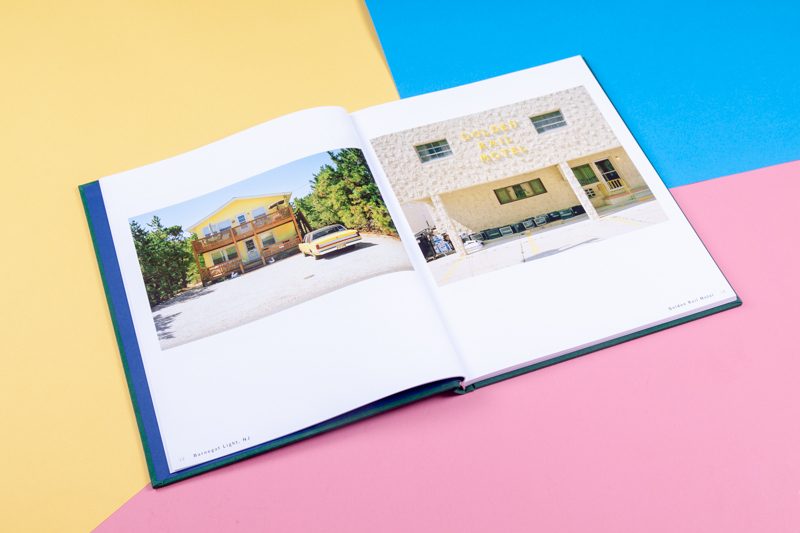 The contrast between these two sets of images conjures thoughts of the slow demise of such quaint seaside retreats. 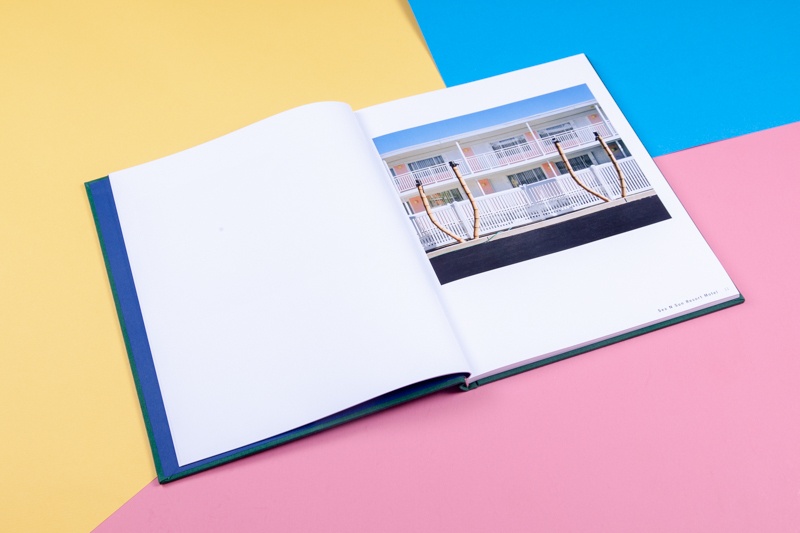 A monograph of this work, Everything Is Regional, was published by Aint-Bad this Summer. 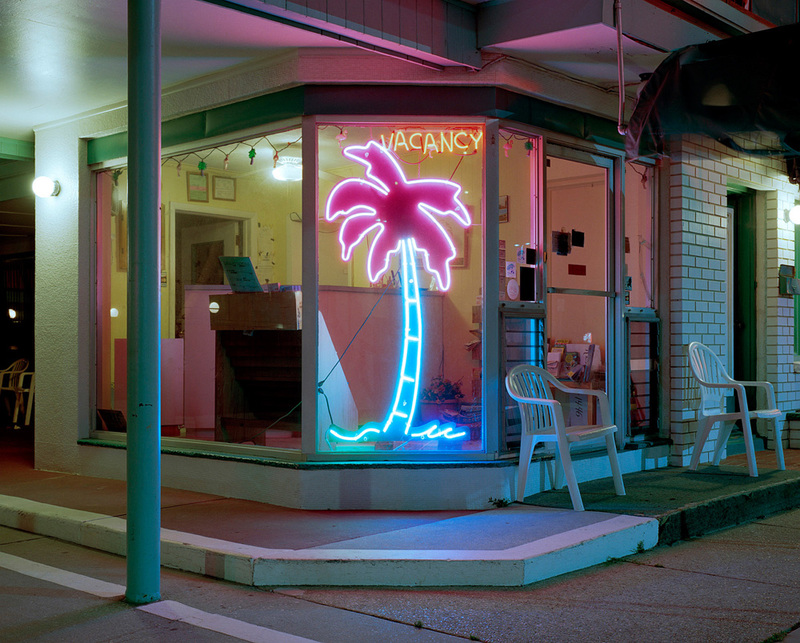 Tyler Haughey (b. 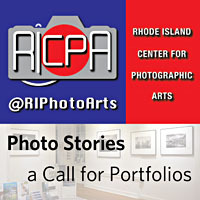 1988, Ocean Township, NJ) received a Bachelor of Science in Photography and Art History from Drexel University in Philadelphia, PA. 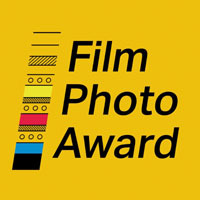 He was awarded an Individual Artist Fellowship from the New Jersey State Council on the Arts in 2015, was chosen as one of Photolucida’s Critical Mass Top 50 in 2016, and was selected as a Flash Forward Emerging Photographer by The Magenta Foundation in 2017. 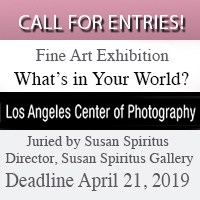 Recent exhibitions include At A Languorous Pace at Sears-Peyton Gallery, New York, NY; The NJSCA Fellowship Exhibition at Monmouth University, West Long Branch, NJ; and Project Basho’s ONWARD Compé 2015, Philadelphia, PA, which was juried by Elinor Carucci. 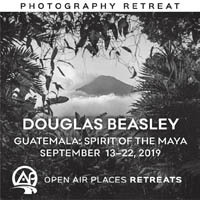 His work has been featured in such publications as Slate, PDN, Lonely Planet, American Photo, Fast Company, Spiegel Online (Germany), and Wired Magazine (Japan), and is included in the Morgan Stanley Collection. He is represented by Sears-Peyton Gallery in New York and Los Angeles. He lives and works in Brooklyn, NY. 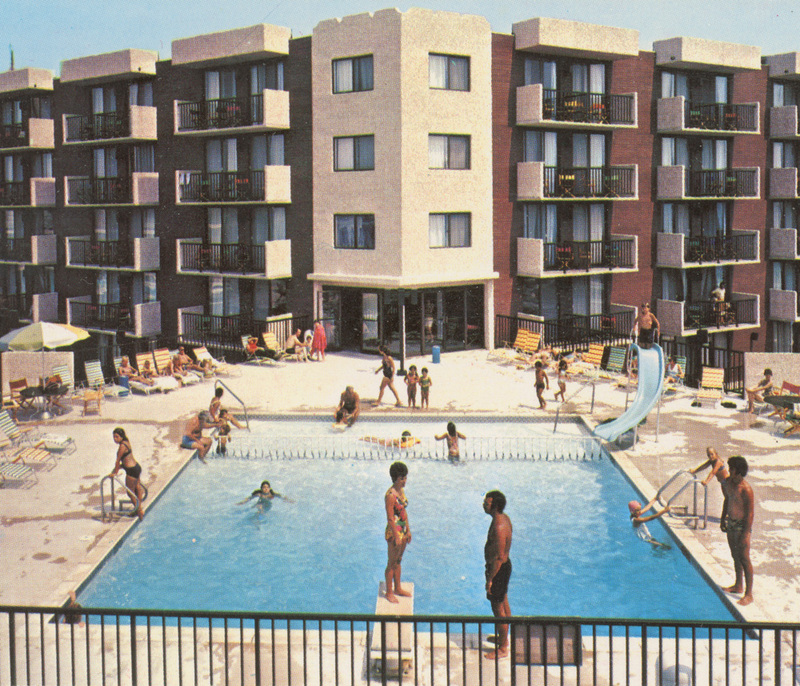 Adopting a spare aesthetic and using contemporary materials such as poured concrete and glass, the motels brought European high modernism to America’s middle class. 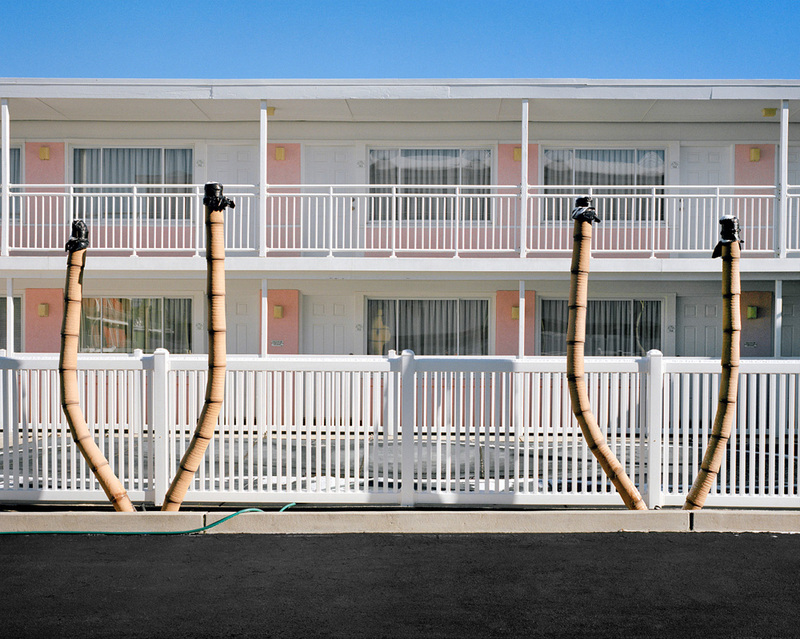 Applying the idea of the “decorated shed”, a term coined by renowned postmodern architects Robert Venturi, Denise Scott Brown and Steve Izenour in their seminal 1972 book Learning from Las Vegas,each motel relies on unique architectural features and symbolic ornament to form its own identity and set itself apart from the others nearby. 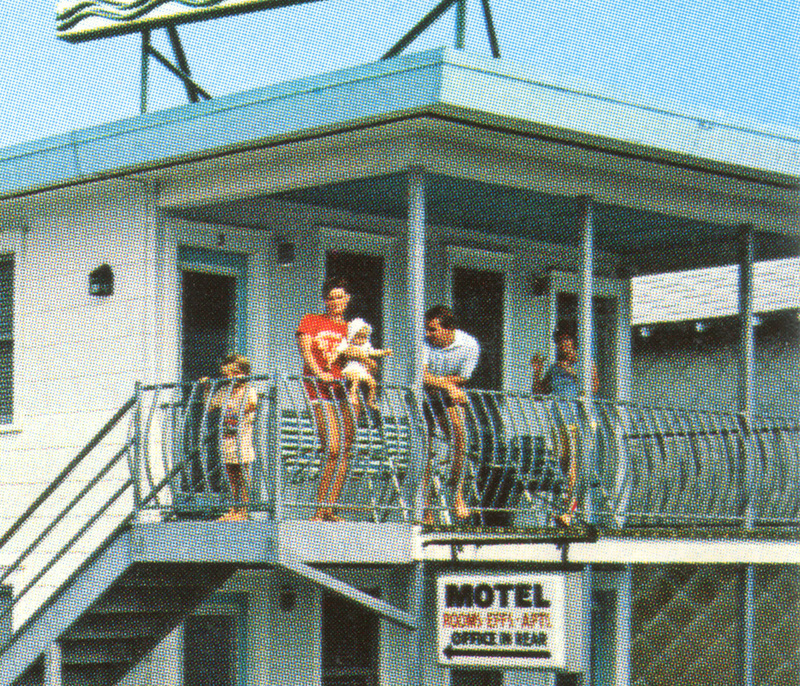 Infused with space-age optimism and experimentation, and utilizing the iconography of faraway, exotic destinations, these structures represent the way American families vacationed during the postwar era. 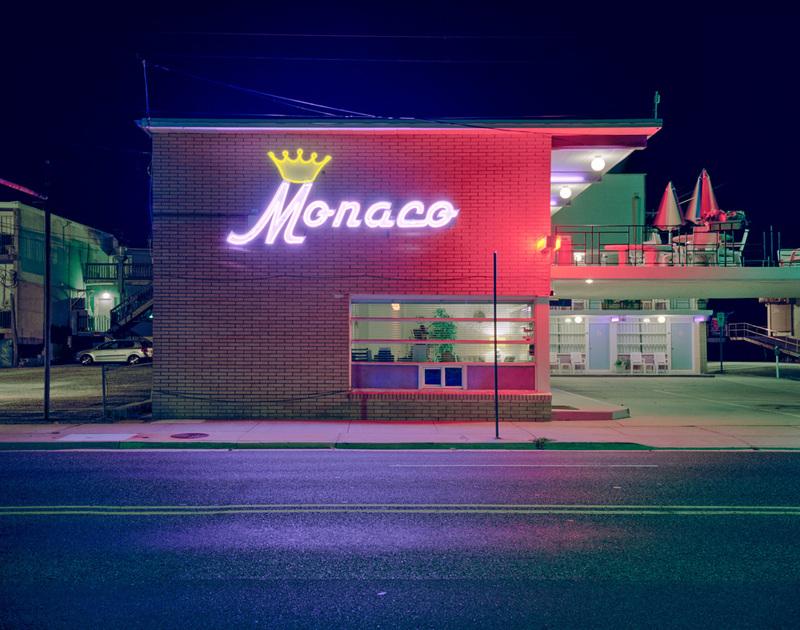 In the late 1990s, Venturi, Scott Brown and Izenour visited The Wildwoods to study the motels. 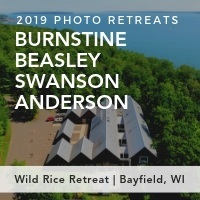 During this time, Izenour spearheaded a multi-university research studio, aptly titled Learning from The Wildwoods, which documented the buildings in hopes of protecting and preserving them. Since then, however, more than half of the 300 motels that once stood have been sold and demolished, making way for conventional, high-rise condominiums. 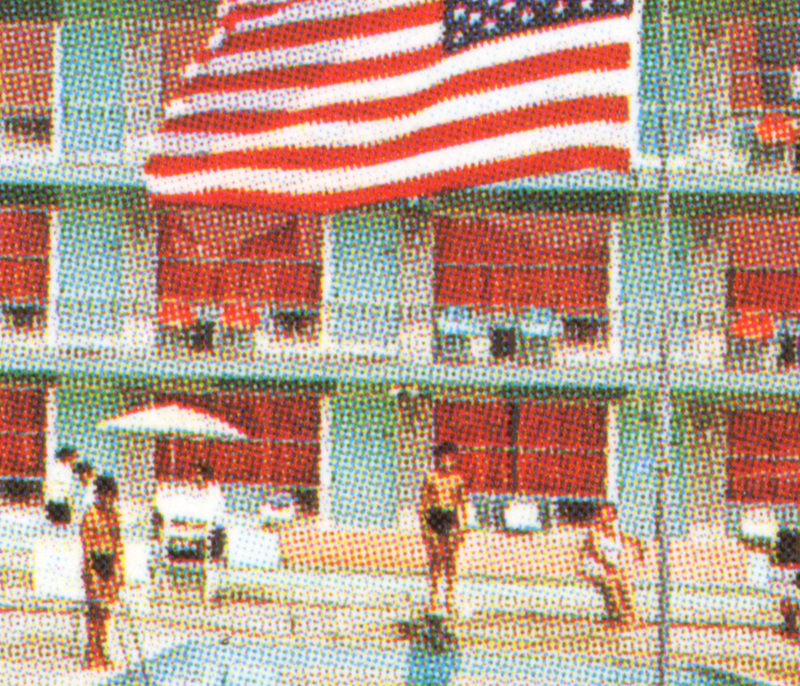 The halftone compositions, which are sourced from archival motel-issued postcards of The Wildwoods, act as a way to consider the life and memory of the places depicted, all of which are no longer standing. 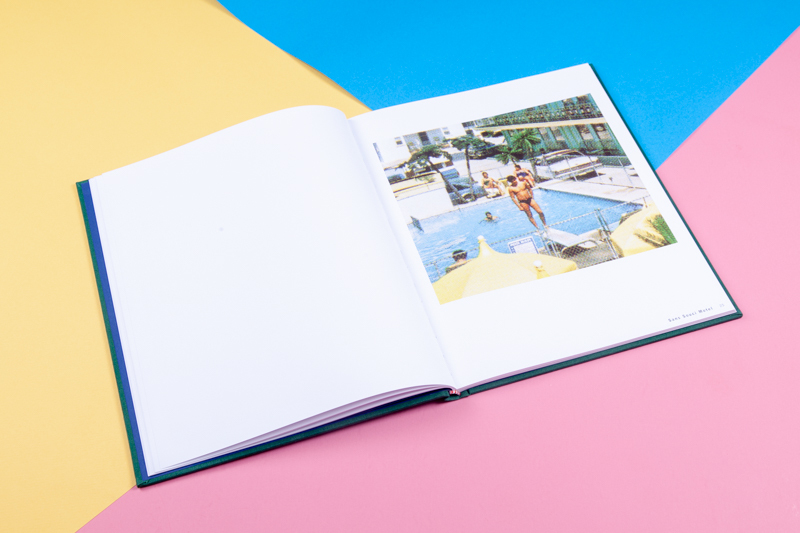 Even in the constructed, idealized world of a postcard, the subject’s disillusionment and uncertainty are present, juxtaposed against the inherent joyfulness of summer vacation that the initial compositions seek to portray. 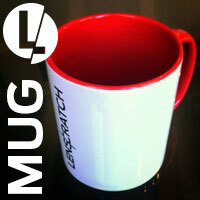 KW: It is often said that “familiarity breeds contempt.” In your case, this does not appear to be true. 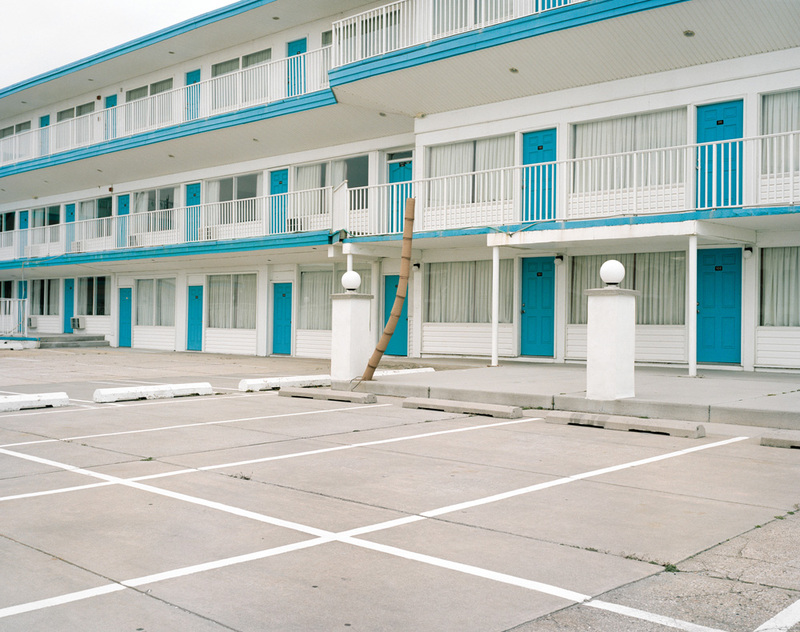 Growing up in Ocean Township, did you appreciate the beauty of the Hotels and Motels you now photograph or did this realization come with the benefit of retrospect? 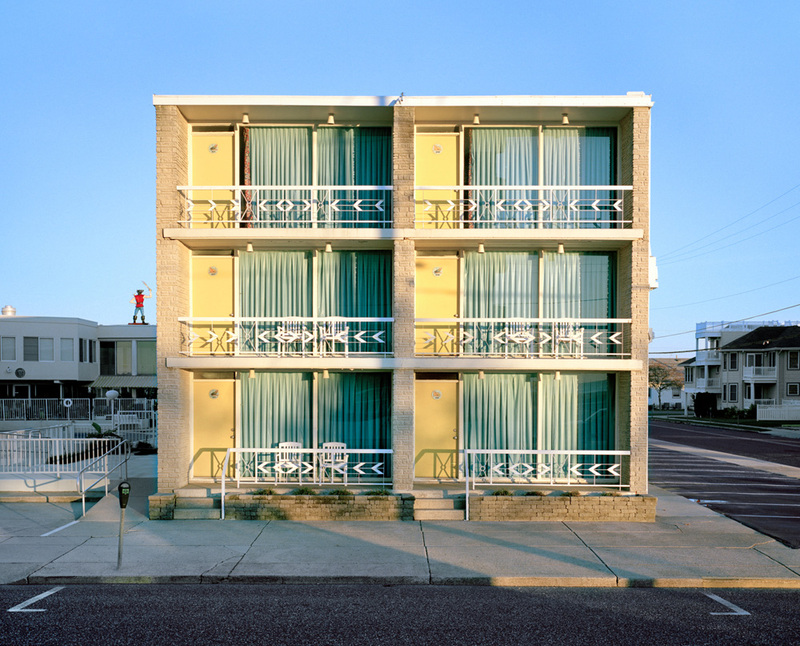 TH: I’ve always been innately drawn to the vernacular architecture of the state’s coast, however the area of the Jersey Shore that I’m from does not have many motels along the beach – it’s nearly all cookie-cutter, gigantic mansions and high-rise condominiums. 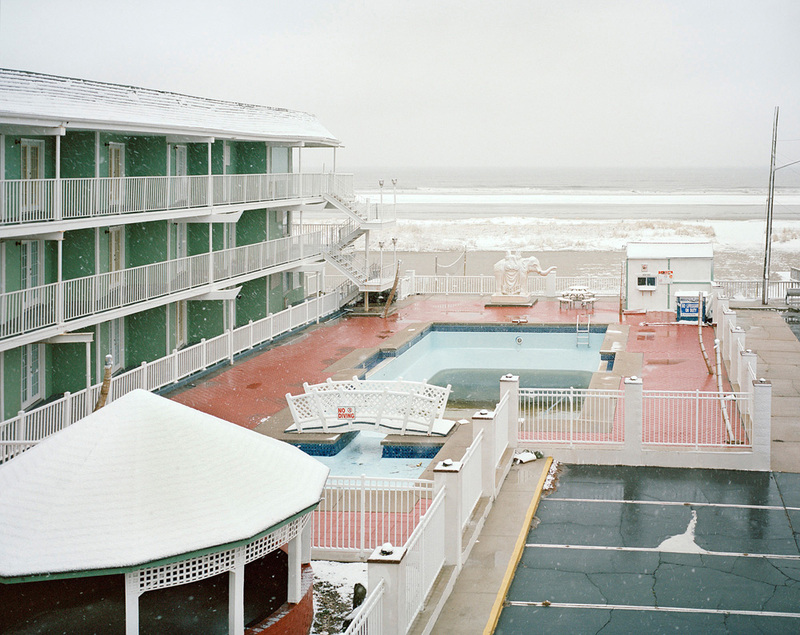 I would spend a lot of weekends at my grandparents’ house in Barnegat Light, which is halfway between Asbury Park, where I grew up, and The Wildwoods, where the motels are. Barnegat Light is a very small, quiet beach town, and visiting it as a kid was like traveling back in time: it felt totally different than the beach towns where I lived, and had such a specific sense of place. 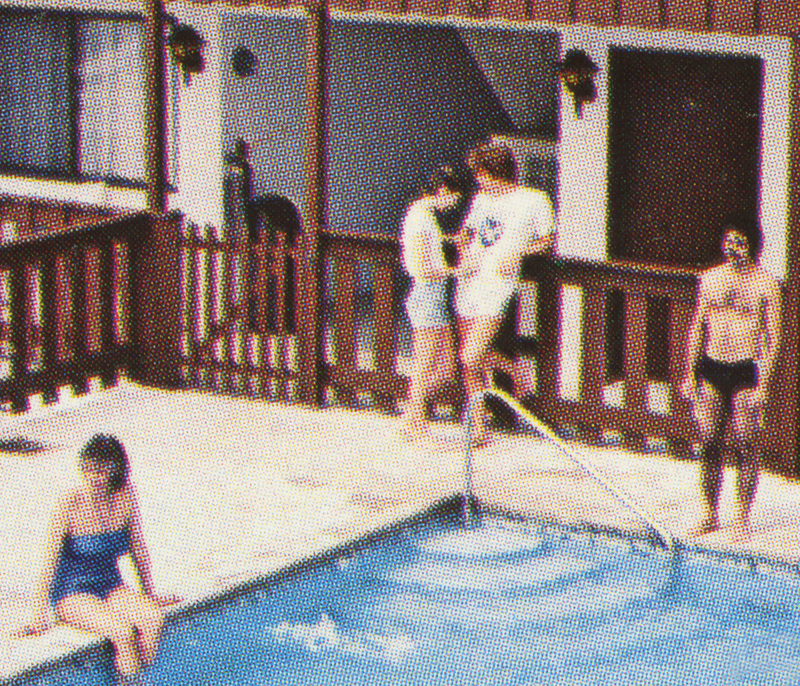 When I first visited The Wildwoods I immediately had that same reaction, as if I’d happened upon a time capsule from decades earlier, and that feeling was a major reason for my attraction to the area. 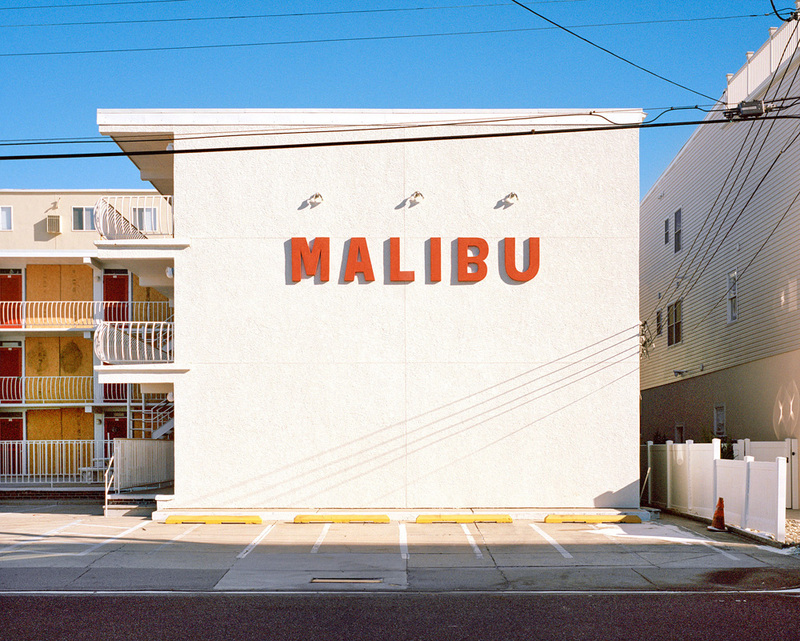 I loved how all of the motels were built almost identically, using many of the same structural and design elements; but set themselves apart from each other with their different color schemes, iconography, and signage. When I started doing research about them, their actual history enhanced my interest even further. KW: In stark contrast to the old postcards you have reproduced, you made a conscious decision to create photographs devoid of people. Can you talk a bit more about that choice? TH: Shooting the motels during the winter months came from a desire to strip away any distractions and depict them in a more focused way that best described their individual identities. It was also a way of exploring what they look like during the other nine months of the year, when the tourists have gone home. I felt that these places were like real-life abandoned film sets—vacant, but still suggesting a tangible recent history. Choosing to photograph them during this time of year also arises out of my interest in and experience with the off-season of a tourist destination. 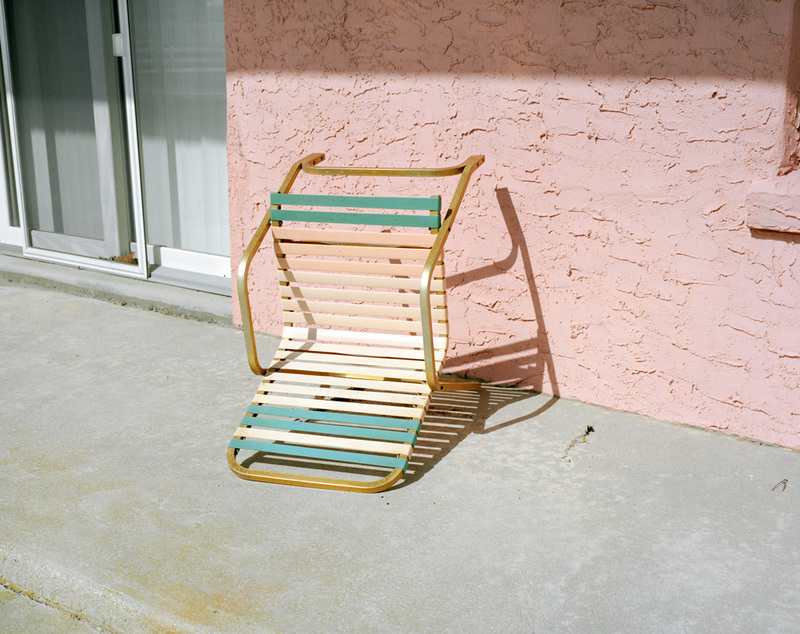 Growing up at the Jersey Shore, the post-summer months—when the tourists have left and the area becomes quiet and peaceful again—are always what you look forward to, and that is something I was thinking about while making this work. 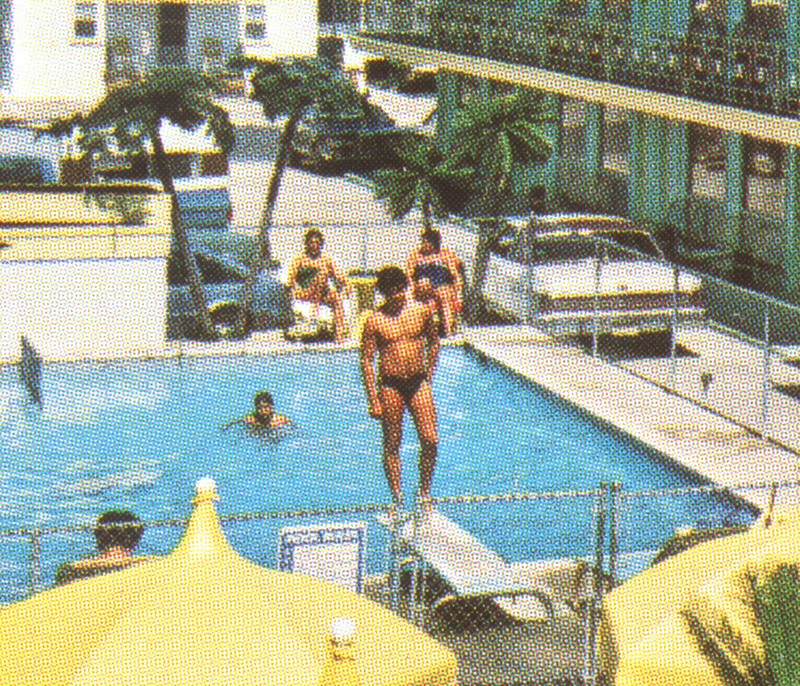 The halftone compositions, which are sourced from archival motel-issued postcards of The Wildwoods, act as a way to consider the life and memory of the places depicted (most of which are no longer standing) and bring a personal presence to an otherwise humanless body of work. 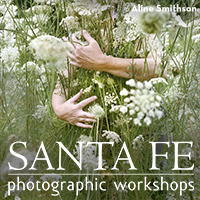 KW: You recently published a book of your photographs – tell us about it! TH: I did! 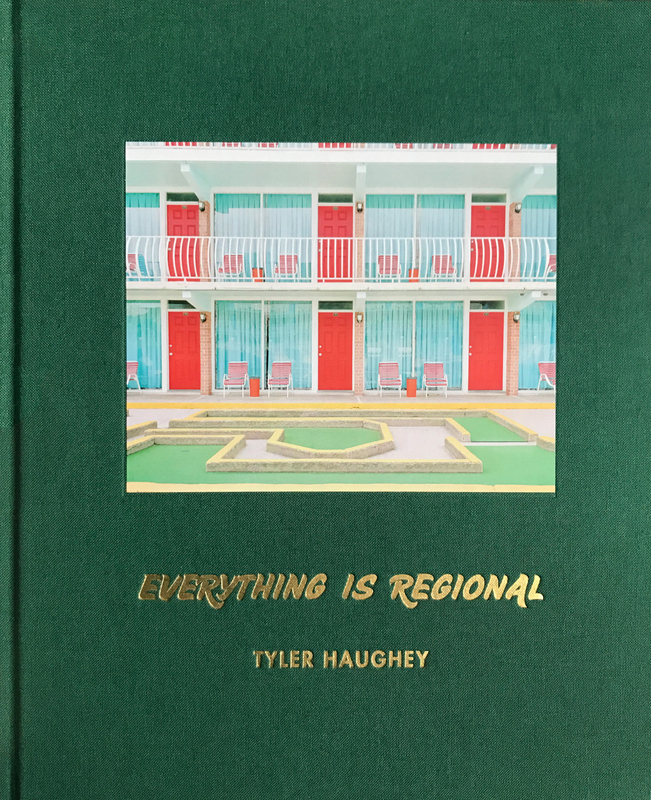 My first photobook, Everything Is Regional, was published by Aint-Bad and released in June of 2018. 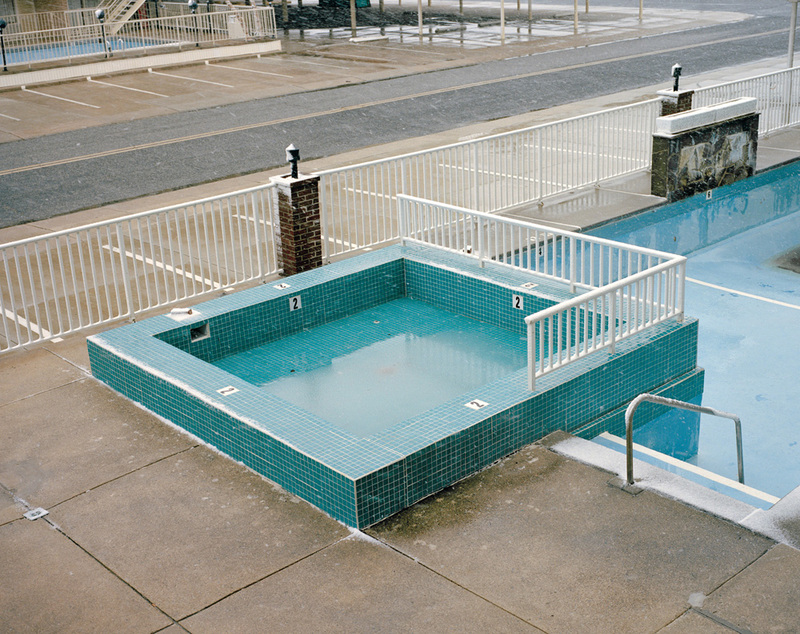 It examines the built environment of northeastern coastal towns and explores how we use, interact with, and remember places designed and known for summer recreation. It combines photographs that I’ve taken since 2010, examining the threads that run through my work, but takes my project Ebb Tide (which is featured here) as its nucleus. 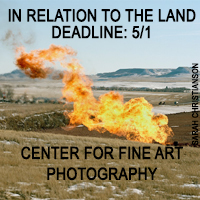 It features a great introduction by by Adam Giles Ryan, former Assistant Curator of Photography at the San Francisco Museum of Modern Art (and fellow New Jerseyan!). You can read more about the book here.